Deb Brandon's career is an eclectic one to say the least. Born in England, raised there, Israel and Switzerland, she lives in Pittsburgh and is a math professor at Carnegie Mellon University, which is where she earned her PhD. Deb's a respected textile artist whose book, "Threads Around the World" describes how artisans from 25 diverse cultures create traditional fiber arts using centuries old methods. Deb is also a brain injury survivor who underwent 3 surgeries in as many weeks. She kept a diary, which eventually evolved into a book: "But My Brain Had Other Ideas: A Memoir or Recovery from Brain Surgery." We cover a lot of ground in this open, honest, life affirming conversation. Ana Castillo, a poet, award-winning novelist, short story writer, essayist, editor and playwright, is one of the most celebrated voices in contemporary Chicana literature. In her most recent book, Black Dove: Mama, Mi'jo and Me, she details her life as a single, brown, feminist parent, while at the same time, describes her against-all-odds career as a writer and activist. Join us for an enlightening, eye-opening and fascinating conversation. 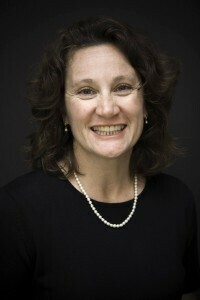 Lois Prislovsky, PhD, is an educational psychologist who prior to opening a private practice created and served as director of the special needs program at the University of Tennessee. It served student athletes with disabilities. Her areas of expertise include working with clients on the autistic spectrum, ADHD coaching, and anxiety management. Our conversation focuses on the special relationship she has with one of her clients, an autistic and mute 43-year-old woman. They're in business together.